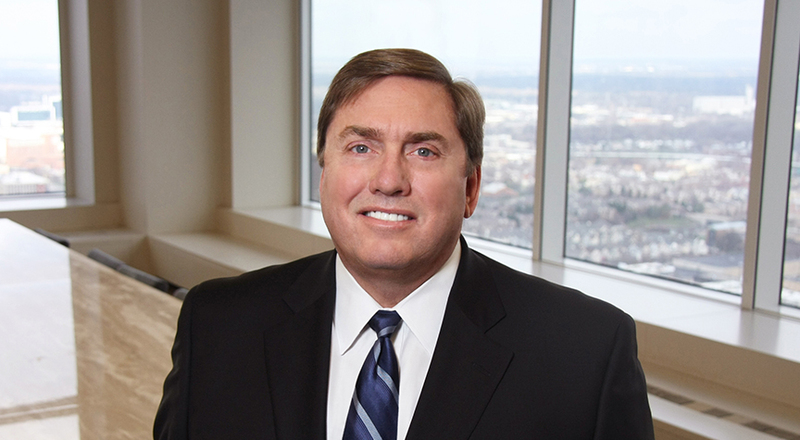 Bob serves as Chairman of the Executive Committee and Managing Partner of Taft Stettinius & Hollister LLP. 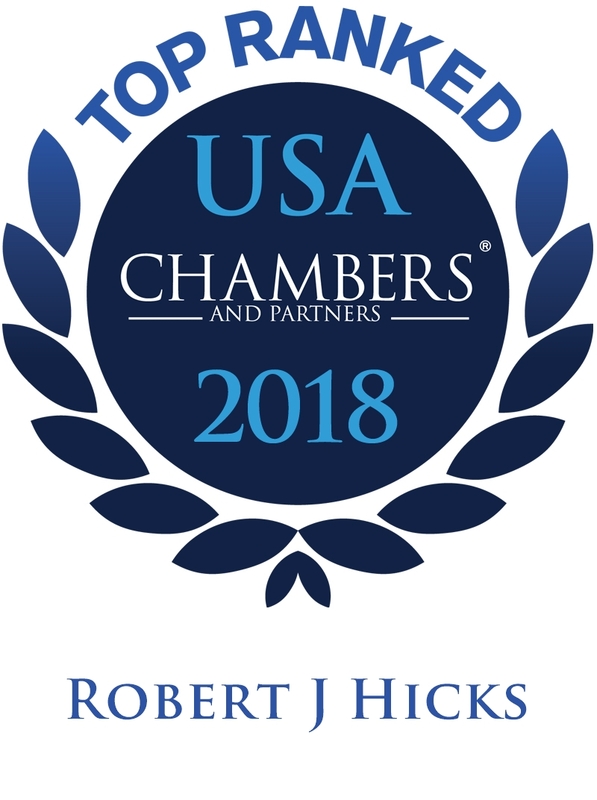 Together with his core team of seasoned transactional attorneys, Bob focuses his practice on complex business and commercial transactions, private equity and venture capital transactions, mergers and acquisitions, structured financings, business advisory services, and structural tax matters. He serves as outside counsel for the largest private equity fund in Indiana, along with several other substantial and successful businesses. 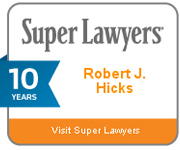 For an attorney in private practice, Bob has a unique perspective and experience to offer his clients in their business decisions and transactions. He took a hiatus from the private practice of law from 1996 through 2001 (working in Chicago, Toronto and Manhattan) and gained substantial experience in Wall Street transactional work and as a corporate executive. During that period, Bob served as Executive Vice President of Strategic Development for the CIT Group, the second largest finance company in the United States, and was one of the principal dealmakers and senior executives responsible for over $25 billion of Wall Street asset-backed securitizations, senior and structured debt financings, and acquisition transactions. He also served as the General Manager of the largest U.S. financing division of Newcourt Credit Group, CIT’s predecessor. Bob also managed a venture capital and private equity portfolio of approximately $100 million for CIT and ultimately led its largest portfolio company, RealMed Corporation, as its Chairman and CEO. Bob began his career with Arthur Anderson as a tax professional and passed the CPA examination (first sitting). Bob is a 1986 graduate of the William and Mary Law School, Williamsburg, Va., where he was Order of the Coif and a member of the William and Mary Law Review. He is a 1984 graduate of Butler University, Indianapolis, Ind. (with high honors, Accounting). Note: Bob, together with his core team of approximately 15 full-time professionals, serves as lead counsel on approximately $2 to $3 billion of merger and acquisition transactions a year. The following is a sampling of transactions over the last five years and a few earlier transactions in his career. Counsel to a health care issuer of $500 million of growth capital consisting of $200 Million of private equity and a companion $300 million of senior, syndicated debt in 2017. Counsel to private equity funds in connection with their divestiture of a portfolio company engaged in the business of providing dental insurance in 2017. Counsel to seller of a family-owned waste collection, recycling and disposal service and landfill company in 2017. Counsel to purchaser of advanced technology company specializing in improving retail profitability and analytics in 2017. Counsel to seller of an Ontario, Canada based, industry leading pharmaceutical distributor in 2017. Counsel to purchaser of a leading provider of branded consumer foods in 2017. Counsel to seller of loss prevention and merchandising solution provider for mobile product retailers and consumer electronics manufacturers in 2016. Counsel to purchaser of intelligent retail cart solutions company in 2016. Counsel to purchaser of a leading provider of wireless telematics modules in 2016. Counsel to seller of certified steel castings and forgings and metal parts to leading railroads and railcar builders in 2016. Counsel to seller of a construction equipment manufacturer in 2016. Counsel to seller of a leading marketing and sales messaging, tools and training company in 2015. Counsel to seller of a leading independent right-of-way consultant in North America in 2015. Counsel to seller of one of the largest and most prominent crane rental, hauling and rigging companies in the U.S. in 2015. Counsel to purchaser of a leading distributor to the pharmaceutical industry that specializes in ophthalmic pharmaceuticals to clinics across Canada in 2015. Counsel to purchaser of a preferred dental benefit provider for employer groups in Indiana and Kentucky in 2015. Counsel to purchaser of a premier provider of accountability training and management consulting in 2015. Counsel to purchaser of a provider of patient support programs for therapeutic disciplines in 2015. Counsel to purchaser of a builder and designer of custom groundwater treatment equipment for environmental petroleum and construction industries all across North America in 2015. Counsel to a workforce accommodations provider in a refinancing transaction related to funded debt in 2015. Counsel to client in its recapitalization and sale of a family-owned company to a New York-based division of a Swedish investment company in 2015. Counsel to purchaser of a communications company specializing in marketing and sales enablement content in 2014. Counsel to purchaser of a provider of camp and catering services for the oil and gas industry in 2014. Counsel to purchaser of a company specializing in tablet accessories and enclosures for business applications in 2014. Counsel to an engineering de-sanding solutions provider to high pressure oil and gas wells in connection with expansion of its business into the U.S., including international tax planning in 2014. Counsel to a mobile technology company in connection with expanding its business into Ireland and Mexico, including the creation of foreign subsidiaries and related international tax planning in 2014. Counsel to purchaser of a provider of innovative air and water treatment solutions in 2014. Counsel to purchaser of a manufacturer and supplier of freight car parts for the North American rail industry in 2014. Counsel to purchaser of a supplier of industry standard freight car parts in 2014. Counsel to purchaser of a manufacturer and marketer of geotechnical measurement instruments which serve a wide variety of end markets, including oil and gas, utility, mining and infrastructure in 2014. Counsel to seller of a manufacturer of replacement windshields and specialty glass for the RV and truck industry in 2014. Counsel to five private equity fund portfolio companies in connection with refinancing and recapitalization transactions related to their funded debt and equity capital in 2014. Counsel to purchaser of stock from a health care services company and in a merger involving the purchase of a competitor with approximately 60 shareholders in 2014. Counsel to seller via a merger transaction with a publicly traded corporation that is traded on the Toronto Stock Exchange in 2014. Counsel to purchaser involving two acquisitions of leading designers and manufacturers of packaging products in 2014. Counsel to purchaser of a provider of advanced revenue cycle management solutions in 2014. Counsel to purchaser of a restaurant concept and two related restaurants in 2013. Counsel to purchaser in three separate acquisitions of leading providers of corrugated packaging products in 2013 and 2014. Counsel to seller of a leading designer, manufacturer and distributor of medical and surgical products and devices in 2013. Counsel to purchaser of an award-winning business and financial acumen sales training company in 2013. Counsel to seller of a leading designer, manufacturer and installer of complex, high-quality assembly automation tooling systems for the aerospace and defense industry in 2013. Counsel to seller of a leading distributor of drums and rotors, chassis and hydraulics parts to the automotive aftermarket in 2013. Counsel to seller of a contract manufacturer of complex machine parts and assembly structures for leading military and commercial aerospace customers in 2013. Counsel to purchaser of a large U.S. energy safety provider and a recapitalization in 2013. Counsel to purchaser of a leading provider of high pressure sand recovery services to the oil and gas industry in 2013. Counsel to one of the leading providers of medical billing services and flexible practice management solutions for hospital-based doctors in the purchase of multiple medical management companies and the simultaneous recapitalization of the purchaser in 2013. Counsel for an asset exchange transaction valued at approximately $6 million whereby client transferred franchise rights in a specific restaurant back to franchisor in exchange for new restaurant concept in 2013. Counsel to purchaser of the bottling and warehousing business and operations of a whiskey distillery. Counsel to a large Indiana insurance company in connection with it raising approximately $125 million in additional equity capital to be utilized for its acquisition of another $2 billion insurance company. Counsel to a seller of substantially all of its assets including operating subsidiaries in Brazil, France and Germany. Counsel to utility company in connection with obtaining a $90 million credit facility with the U.S. Department of Agriculture in 2009. Counsel to purchaser of a leading provider of highly engineered remote and semi-remote operated composite robotics systems and equipment primarily used in the decontamination and decommissioning of nuclear sites in the U.S., Canada and Great Britain. 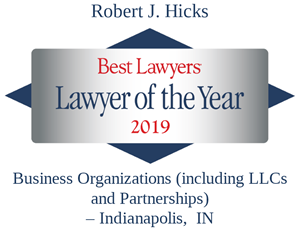 Counsel to purchaser of the largest independent aerial equipment rental, sales and service company in the Central and Northern Indiana markets in 2008. Counsel to purchaser of a leading provider of land and right-of-way services and land records management in the U.S. Counsel to purchaser or the worldwide leading provider of branded de-shedding products to the pet industry. Counsel to private equity fund in connection with its participation, as a mezzanine investor, in the recapitalization of nearly $1 billion of senior and subordinated indebtedness of an Indiana-based gaming investment and development company. Counsel to purchaser of three separate healthcare distribution businesses for a NASDAQ company. Counsel to NASDAQ company in its sale of a United Kingdom subsidiary engaged in the manufacture and sale of armored equipment to the defense industry. Counsel to seller of a large California-based manufacturer for the defense industry. Counsel to seller of Indian gaming casino in Palm Springs, California. Counsel to purchaser of standard-bred pari-mutuel race track in Prince Georges County, Maryland (adjacent to Washington, D.C.). Counsel to purchaser of Harrah’s Casino in Central City, Colorado. Counsel to seller of the premier ambulance manufacturer in the United States. Counsel in establishing a $500 Million Project Finance Fund for CIT. Counsel in establishing over $5 billion of asset-backed securitization facilities (including single seller and multi-seller facilities) for CIT between 1996 and 1999.
Business Executive of CIT in charge of the formation and development of Snap-on Credit Corporation and the purchase of a $650 million lease portfolio from Snap-on Tools Corporation. Organizer and Counsel to CIT in the formation of Dell Financial Services, L.P., the world’s largest independent vendor finance company doing approximately $10 billion annually in financing business in approximately 60 countries. Counsel to promoters and owners in development and organization of Anderson, Indiana horse track gaming venture. Counsel to promoter and owners in development and organization of Lawrenceburg, Indiana riverboat gaming venture.